Get the girls together and ready to party as you go back in time to the 1980's.You will learn your very own dance routine worked out to a medley of songs. Classics such as Footloose & Flashdance with a professional instructor. Get the girls together and get ready to party as you go back in time to the 1980's. 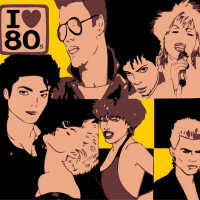 During your trip back to the 80's, you will learn your very own dance routine worked out to a medley of songs. Classics such as Footloose & Flashdance with a professional instructor. This routine can be practiced with the girls for years to come & you can even perform it at the wedding reception to amaze all your guests with the moves you have learnt. You are guaranteed to have a giggle with the girls on this fun and energetic dance party! The Hen gets a FREE bottle of bubbly!